Jon Huntsman announced he will not be attending the Republican convention later this summer. This would not be news except for the reason he gave for not attending. 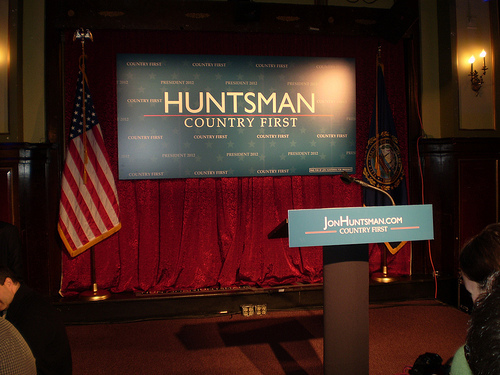 Huntsman said, “I will not be attending this year’s convention, nor any Republican convention in the future, until the party focuses on a bigger, bolder, more confident future for the United States – a future based on problem solving, inclusiveness, and a willingness to address the trust deficit, which is every bit as corrosive as our fiscal and economic deficits.” I once again say Jon Huntsman is Mr. Reasonable. This doesn’t mean I would support many of his policies, but at least he isn’t in lockstep with a party that thinks government and politics is a big game to be utilized to favor the wealthy ruling class while impoverishing the already impoverished.